AGAT used as a ground cover under and around signs, give a clear visual reference. The contrast between AGAT and signs is very strong, outlining the edges of maneuvering areas. Signs are normally placed in crucial areas in an airport. When AGAT are installed beneath signs, incursions are minimized and thereby the security is upgraded. 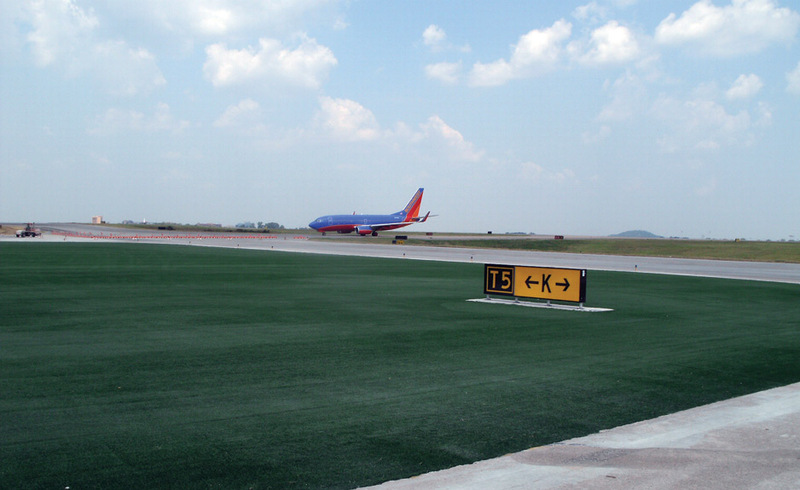 The natural installation method would be to glue to the AGAT to the edge of TWY and RWY. The edges towards natural ground to be secured by trench and bury.